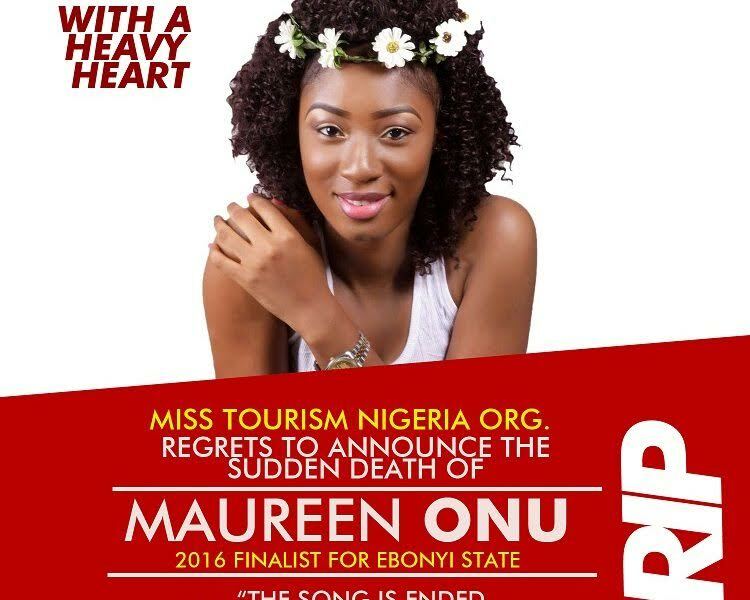 Organizers of the Miss Tourism Nigeria 2016 have announced the death of one of their contestants. 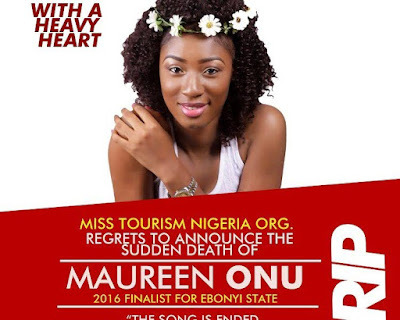 The contestant, a finalist representing Ebonyi State, Maureen Onu, reportedly died in the early hours of Thursday. This disclosure was made known by the CEO of the organization, Mr. Santiago Roberts, at the weekend. In a statement, Roberts said, “The brand lost a true and great gem. “Maureen was always prompt to carry out instructions/tasks giving and willing to learn; she was looking forward to representing her state with pride during this year’s finals and with the hopes of becoming the first ever national tourism queen from Ebonyi State. “The organization promises to redesign the content and production of the event to honour the lost contestant,” the statement added. The deceased died at the age of 20.